There’s a new Indian restaurant in the next suburb, and my boyfriend decided to spoil me with a meal there last night – The Grand Pavilion, known for their authentic and delicious Indian and Indo-chinese meals on the Central Coast, has just opened a location in Warners Bay. I suppose I start from the start! 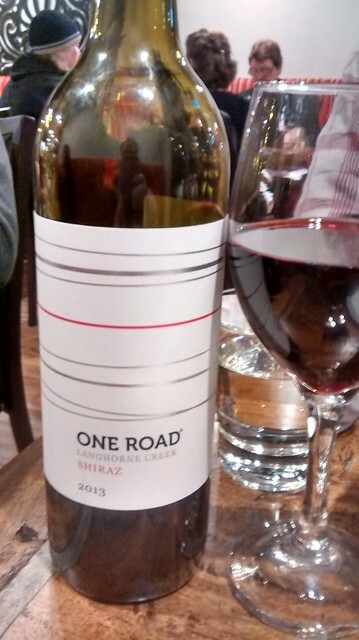 It took us forever to order – because there are so many options on the menu…. Old favourites and new (to us) twists and variations. All sounding delicious. We didn’t order it, but the $35.90 per head banquet for 2 or more is AMAZING value for entrees, mains (which are all Gluten free btw), sides and desserts. Next time, Gadget, next time. 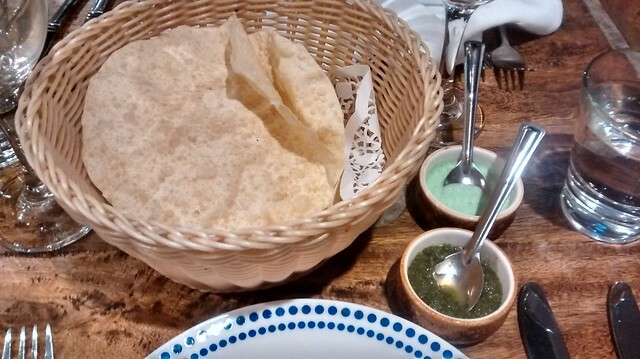 So we settled on our order, and were presented with complementary poppadoms, along with a mild and spicy mint sauce (raita would be what I called the milk youghurt one) while Bruce went back to the car for our bottle of $7 Aldi Shiraz (amazingly smooth btw) because they are BYO only ($3/head). There is the usual Coke brand and Lassi selection for drinks. 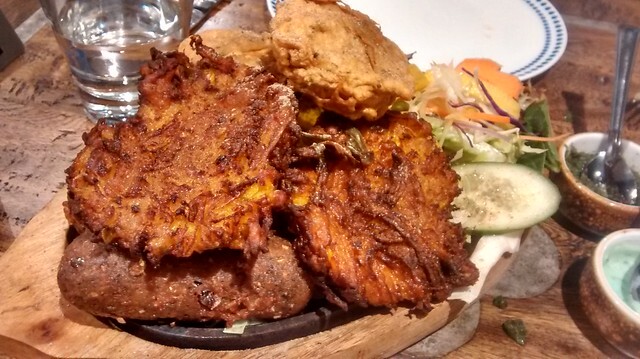 First we had the Onion Bhaji and Tandoori Mushroom, which both had a little kick as far as I was concerned! 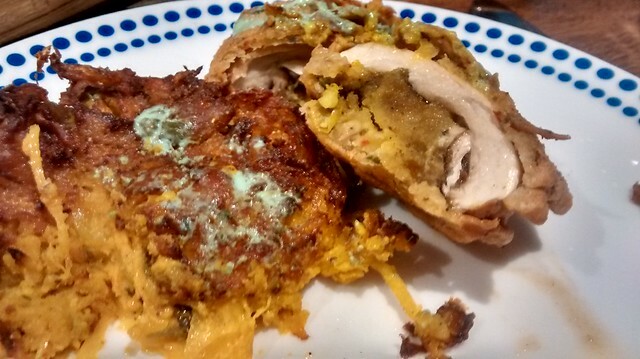 Great texture on the Bhaji, and the mushroom was a different twist for me, with sooo many flavours! Next, because they were under the other two, were the Vegetarian Seekh Kebab (the vege sausage thingy) and the Paneer Tikka. 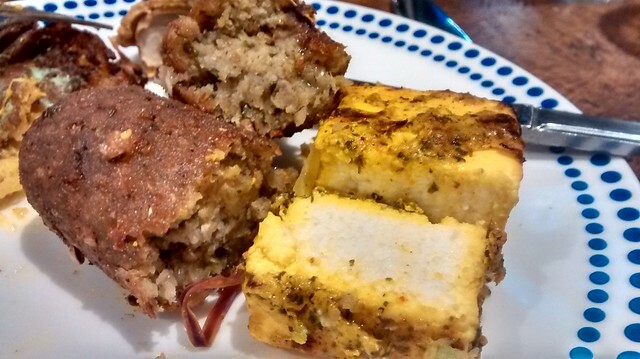 Wow, I loved the two of them – the paneer had a nice marinade and was cooked to perfection, and the Kebab was so full or herbs and flavours I nearly fainted with joy. We chose two meals from the Chef’s special mains, and we were blown away. Both we “mild” heat wise, but the combination of spices and cooking style was enough to have me eating way more than I should. 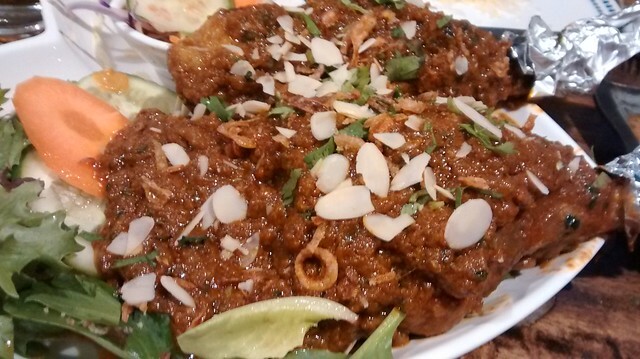 The other dish we selected was the “Mughlai Chicken” – Tr traditional cashew nut, almond based sauce flavoured with cardamom, cloves and bay leaf with a touch of fresh cream. This was also melt in the mouth stuff… My unsophisticated palate likened it to butter chicken but without the tomato and all the damn sugar. 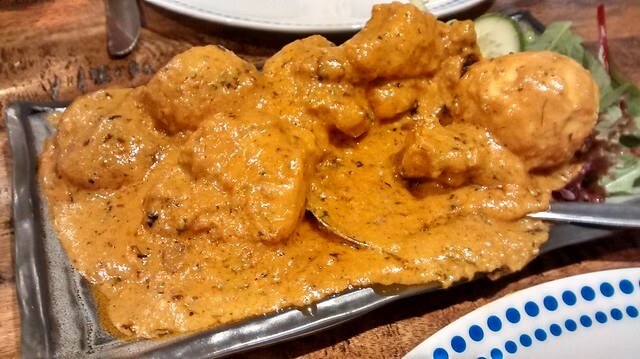 but, for sure, this was a milk chicken curry that was actually full of flavour. 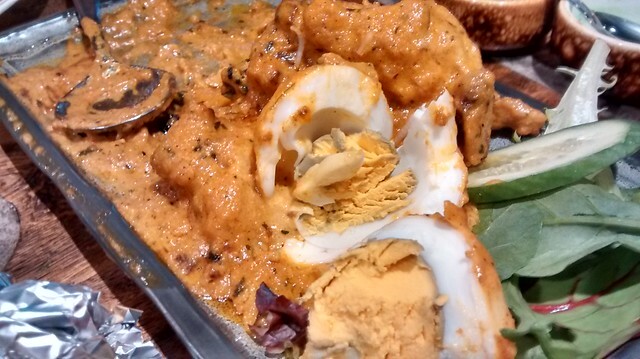 Oh and there was a hardboiled egg in it! We also had rice and naan (but of course!) but given my level of stuffed-ness from the entrees I had a little bit of both, not much. 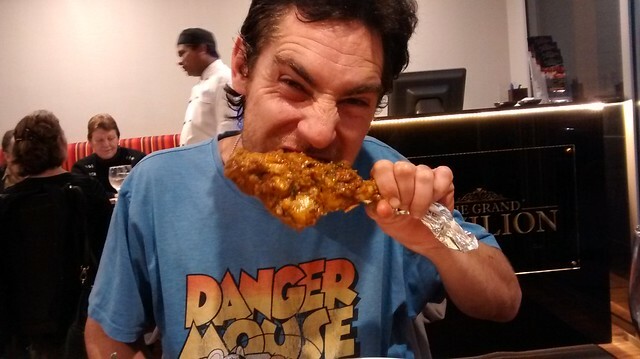 The meal and service were amazing – and the British girl next to us proclaimed it to be the only real Indian food she’s had since moving to Australia. We will have to go there many times again!